I spent the week working on Lesson 2 of the Finishing Class. 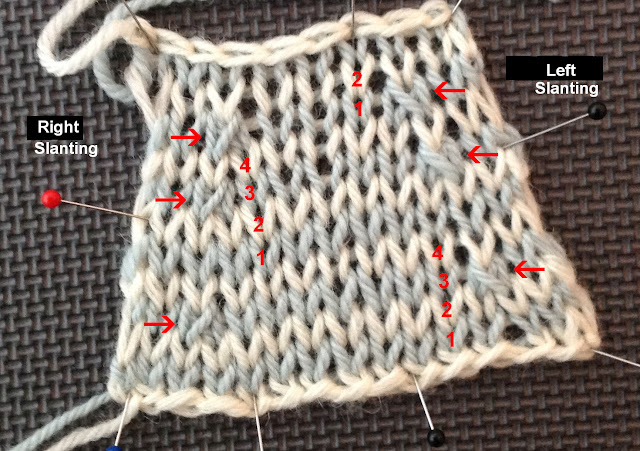 It is about picking up stitches and bands. Having looked at A LOT of sweaters in my time, I can tell you this is one area where many knitters need improvement, especially on neck bands. Thanks again to Carolyn, editor extraordinaire! I received enough lessons to keep me busy and orders for new students as well. Just a reminder, I will be out of town Sunday-Tuesday for a quick trip to Dallas. I will review any lessons I receive on Wednesday. This week's tip is about how to read single decreases. I am not going to discuss how to make the decreases (I have plenty of videos & blogs on that topic) but rather how to recognize them. As with increases, what most knitters will identify as the decrease row is the row before the increase. In the photograph below I have used the cream colored yarn for the RS rows and the blue for the WS rows. Notice the the "decreases" are all on the WS rows. 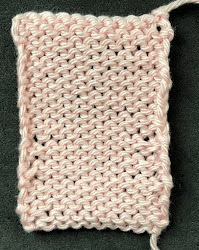 If you look closely at the photograph you can see that when you make a decrease it places one stitch on top of another. 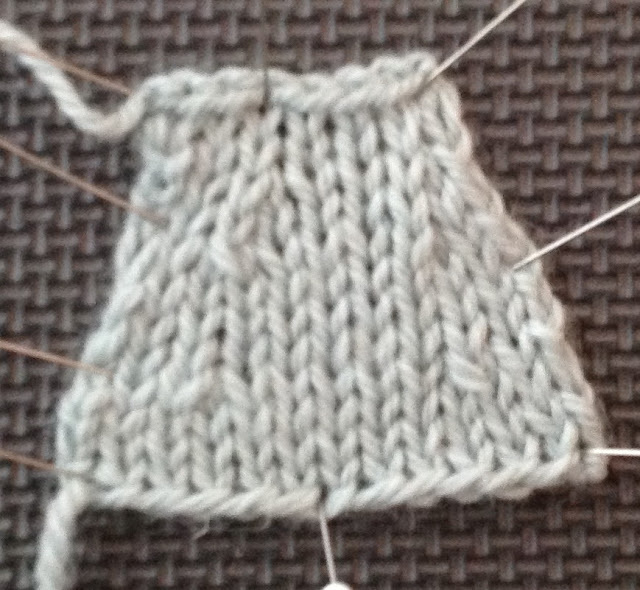 If the top stitch is the stitch to the right, the decrease slants left. 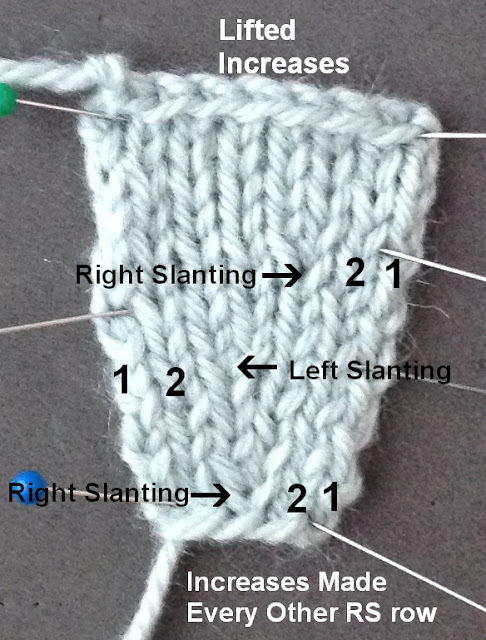 If the top stitch is the stitch to the left, the decrease slants to the right. The decreases are marked with arrows in the photograph. In prior blog entries I have written about the importance of mirroring decreases. For decreases to be mirrored, there must also be the same number of stitches before the decrease on the right and after the decrease on the left. There are two stitches before and after in this swatch. As for increases, patterns generally say to work decreases "every RS row" or "every other RS row. 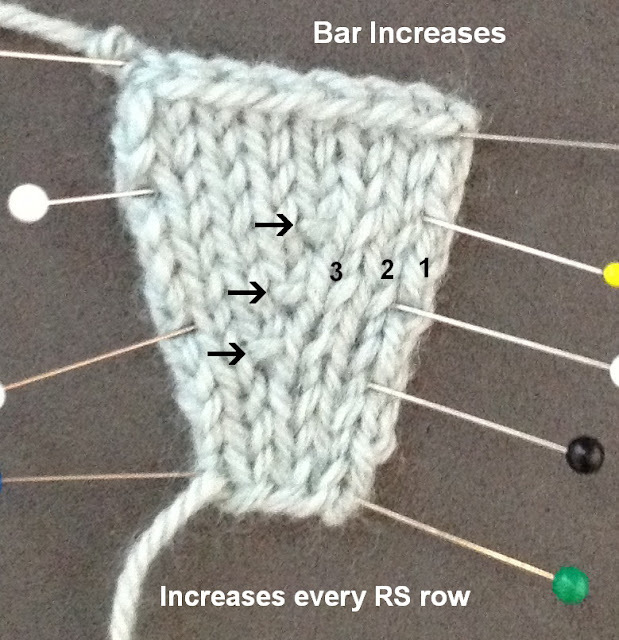 The first and second set of decreases are worked every other RS row. The last one is worked every RS row. You can also find decrease to be worked "every 4th row." This is the same as every other RS row. The rows are number in the photograph. You start counting rows on the row after you make the decrease, a WS row. You make the decrease ON the fourth row. Here is the link to the video for the week: Reading Decreases. 1. Which decreases slant to the right? 2. Which decreases slant to the left? 3. How many stitches are worked before the decrease on the left? 4. 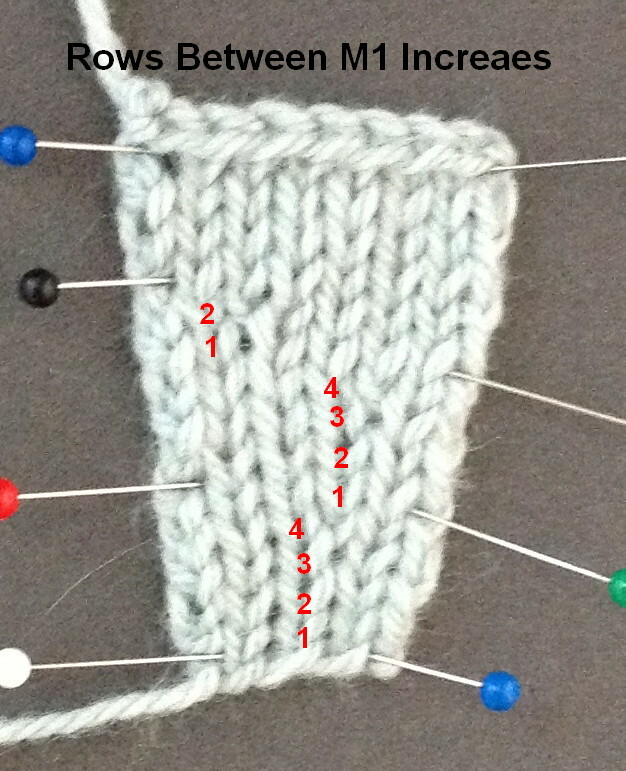 How many stitches are worked after the decreases on the right? 5. How many rows are between the decreases? I will post labeled photographs next week. The photographs for this week are at the end of this entry. There won't be a salon this weekend. I will be at the movie theater for 5 hours and 40 minutes on Saturday. Parsifal is not for the faint hearted. Saturday night I will be at the UK Opera's production of Le Nozze di Figaro, one of my favorites. The costume mistress is a friend and she has done a fabulous job. Sunday I'll be on my way to Dallas. See you all next week. 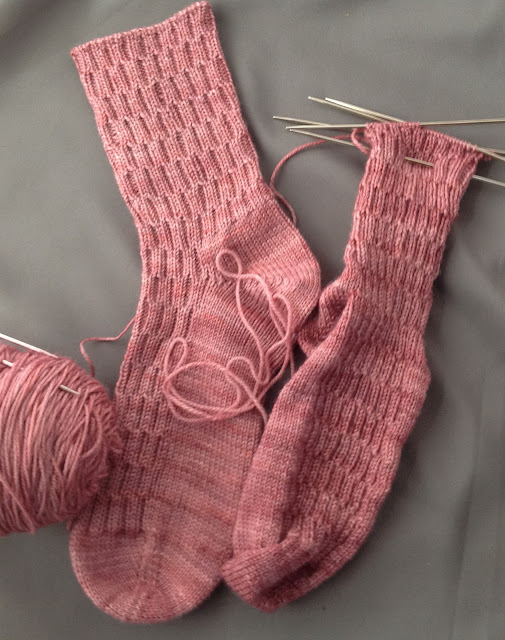 I haven't had much time to work on the sweater as I needed to knit some socks for Cynthia's birthday (tomorrow). She lives in Dallas and I want to give them to her. 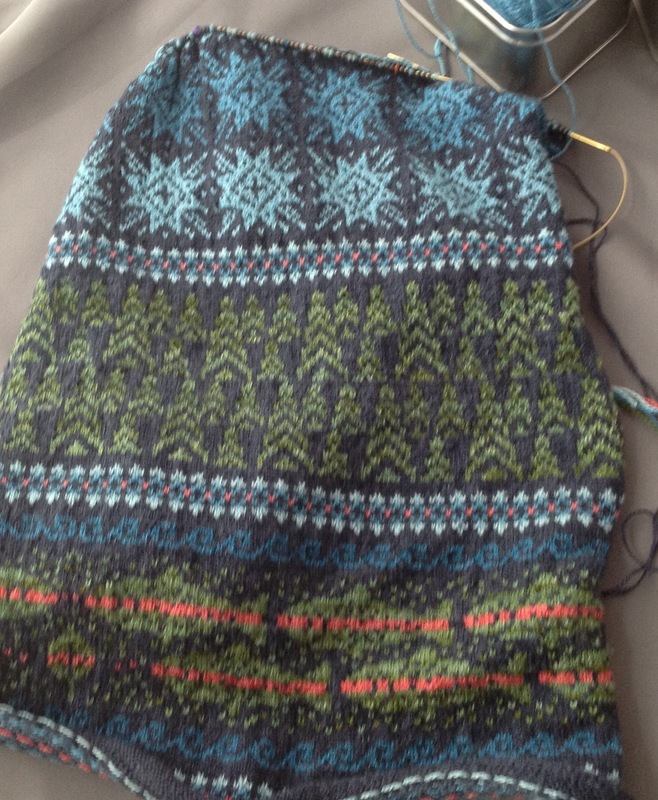 The yarn is wonderful...Anzula's Haiku which is bamboo and merino. Here is the sweater. I did finish the trees and now I'm working on the stars. Thank you for all these writings - you must love this stuff!! It is really fascinating when you look at it so closely.